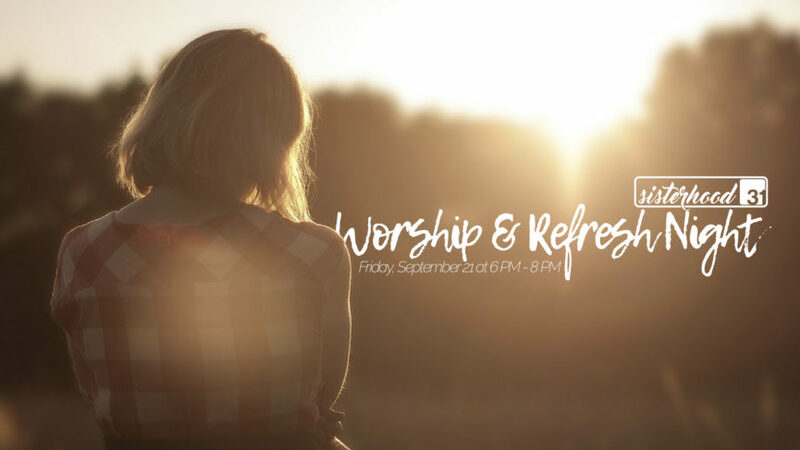 Join us for a worship with Jennifer Colley & Sara Tsoodle followed by a time of refreshing & encouragement. We are excited to have Kendra Rock with Moms in Prayer coming to share with us as well as we kick off the school year. Bring your friends and enjoy connecting with your fellow sisters in Christ. Bring your favorite cookies to share! We will provide drinks and some snack items. We will have childcare for this event. Child care is free but must be pre-registered for event at the HUB or in office by Sunday, September 16th. Children can be dropped off to our kid’s area at 6:00 that evening. Pizza will be provided for children.